Experience has shown us that every project is different and needs a customized approach. We do not want you adapt our solutions; we our solutions adapt to you, to the way of working that is your business. Therefore fully we develop projects tailored to the characteristics of each case. We ensure that the success of all our projects. We also know that it is very important that all company employees quickly learn to use our tools, our automation switchboards. So we worked on our technical laboratory by highly qualified staff with extensive experience with design software such as EPLAN and AUTOCAD, as well as specific PLC automation software, PC and HMI. We develop solutions nationally and internationally and are aware that our customers need to have us hand if they need any new or concerns regarding the use of our cadres arises. To immediate response to all these requests have implemented a system of remote maintenance in all our solutions. With us everything is easier . 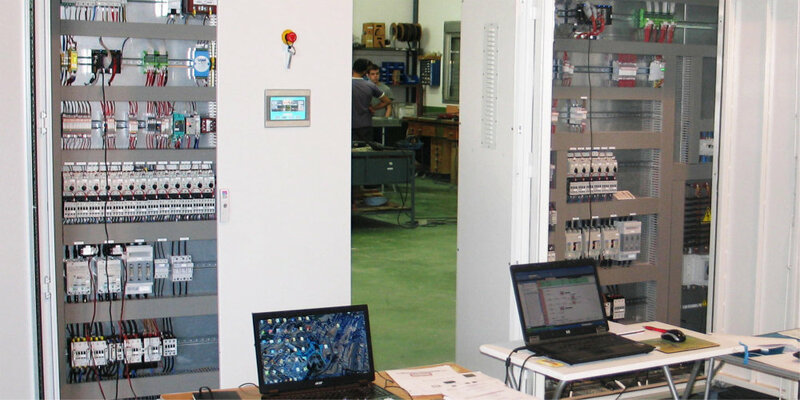 We have 29 years of experience in the field of automation and industrial electrical installations. In addition, the fact that we are manufacturers and installers gives us a significant competitive advantage. We are specialized in integrated automation of oil mills and wineries and optimizing energy efficiency in the industry. We also have experience in the field of wastewater treatment, agricultural irrigation and all kinds of industrial electrical projects. We have the best infrastructure and highly qualified personnel. In our technical office we have the most effective tools to provide our customers with solutions in all areas of industrial electricity sector: processing zone and assembly of control panels, power panels and power distribution to current values above 2500 and test where switchboards are subjected to rigorous testing and quality control, operation and safety in accordance with regulations valid. We work with products from leading manufacturers of automation and control market; also we have the ISO 9001 quality certification AENOR as well as the CE marking on all switchboards we manufacture. Our cadres and systems are completely open to communication and allow the connectivity with field buses. CUADRO DE POTENCIA Y DISTRIBUCIÓN EN BAJA TENSIÓN. Fase de montaje. In short, you want to produce more in less time for your factory is more profitable?